Facing a talent crunch, CIOs are using anything from social media and video conferencing to good old-fashioned networking to scout college recruits, programmers and senior managers. Before hiring Clay Johnson at General Electric in 2014, then Global CIO Jamie Miller went beyond the references provided and vetted the Boeing vice president of IT by calling people whom she knew worked with Johnson. Johnson, now global CIO of GE’s Power & Water division, was slightly taken aback but he could hardly fault the woman who would become his new boss. After all, he follows the same protocol to check out prospects. “It’s key to get the right person and sometimes by talking to someone that you know well you’re going to get a lot more of the story about how they work, how they interact with people and a lot of other things,” Johnson says. Clay Johnson, global CIO of GE’s Power & Water division. Hiring top IT talent is harder than ever, with CIOs facing constrained supply at a time when Silicon Valley startups are cherry-picking the best recruits. CIOs must also exercise significant due diligence about who they pick to staff their IT departments. The cost of replacing an employee is between 100 percent and 300 percent of departing worker’s salary, excluding signing bonuses, says Gartner analyst Lily Mok. CIOs must overcome these hurdles while building products or supporting staff at a high velocity in an era of rapid technological change. Job candidates naturally put their best referrers forward, offering up only those who will provide glowing recommendations. But CIOs, who know that it's up to them to learn the unvarnished truth about prospects, are using social media, video conferencing and some creativity to vet their hires. 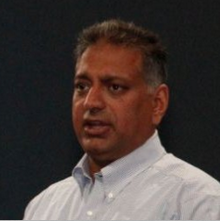 When VMware CIO Bask Iyer considers a candidate, he'll rifle through his CIO contact list and scour LinkedIn to find folks who know and will vouch for the individual. "The world is so connected these days," Iyer says. "You used to be able to hide, but two clicks into LinkedIn and you're going to find somebody that knows [the candidate]." Bask Iyer, CIO of VMware. When Iyer connects with such sources, he tries to determine if an employee will be a good cultural fit. For example, if he's looking for a "hard-core programmer," he wants to collect anecdotal evidence whether a candidate is passionate about coding or whether they simply said they liked to program to get a job. He also conducts situational interviews in which he asks prospects to describe how they handled working on a difficult team, and what they did to ensure success. "You're trying to sort out whether they can problem-solve in a team-oriented manner," he says. Talent vetting extends to vendor and sales people with whom a candidate has negotiated. 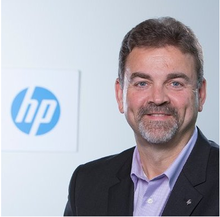 Ralph Loura, CIO of HP’s Enterprise Group, will ascertain whether a prospect was a conscientious buyer and whether they were respectful and fair, because a hire who treats vendors poorly can be poisonous for the corporate brand. Ralph Loura, CIO of HP’s Enterprise Group. Loura also consults his CIO contacts to see if they know, for example, senior leaders he is considering for a position. "You can get a pretty good 360 degree of somebody by checking the vendor community and the IT leader community," Loura says. He prizes hiring for culture over specific technology skill sets, and looks for leaders who have strong grasps on change management and business processes, as well as great vendor relationships. "When I hire for culture first, and work on particular technical skills later, I almost never regret it," he says. 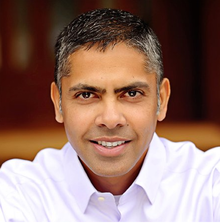 Determining cultural fit is the hard part, says Veresh Sita, CIO of Alaska Airlines. Sita pursues "known entities" in the IT sector by speaking with vendors and partners, using LinkedIn to check up on candidates and an employee referral program to hunt for fresh blood. For the interview process, Sita engages groups of prospects in an exercise that requires them to solve a problem together and present their findings, with the overarching goal intended to demonstrate their ability to work with others. Candidates for key positions meet with consultants that specialize in organizational behavior and industrial psychology. "They know the type of person that would be a fit for my team culture," Sita says. As candidates begin their employment, Sita and his team proactively assess his or her performance during the first 30, 60 and 90 days on the job, searching for red flags. Candidates have no idea their working in this system, which Sita says has been effective for nine out of every 10 hires. "As leaders, we have to make sure that we've made good choices," Sita says. "The last thing we want to do is see a red flag in week 1 or week 2 and do nothing about it." For GE's Johnson, getting young talent is also a priority. But it's hard to conduct due diligence on undergraduates with sparse resumes -- all of the LinkedIn searching in the world isn't going to help when there are no references to contact. 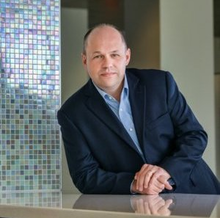 Johnson relies heavily on the company's IT Leadership program, a two-year rotational training program that allows recent college graduates to gain experience in IT. He and his staff interview candidates for this exclusive program via Google Hangouts. Over the course of 30- to 45-minute sessions, Johnson gets a flavor for prospects by just shooting the breeze about what's happening at their university, as well as what technology trends they're interested in. GE then follows up this conversation with a "care package," typically a bag full of GE-logoed items, such as shirts, hats and rapid iPhone chargers. The free stuff also stimulates word of mouth and brand recognition for GE across the campus. "GE is a great brand name, but how do we take that extra step in differentiation and make sure they understand the value proposition?" When GE settles on prospects, it makes job offers that include signing bonuses that decrease as each week passes while the candidate mulls his or her decision. "The idea is to get them to sign on the line and get them as early possible versus giving them time to go back and think or get recruited by other companies, because the talent war is brutal," Johnson says.